Big goal: the total defeat of Hitler’s regime. Big mission: still the biggest operation in military history. Big result: it worked, believe it or not. Now: a big book that tells you all about it. 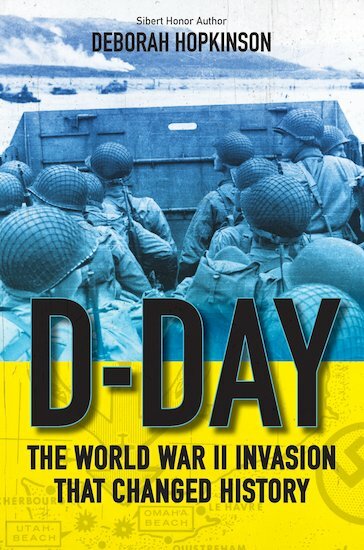 So what was the D-Day landing – codenamed Operation Overlord? It was a final attempt to overthrow Hitler and the Nazis. A massive invasion by sea, landing on the beaches of Normandy and marching up to Berlin. Planned in utmost secrecy, the attack took the Germans totally by surprise. It made them fight on two fronts: between the Allies and a Russian attack from the East. Bombarded by two enemies, Hitler’s army began to weaken. The rest is history – and you can discover it in this book!